SE2 is at the forefront of how issues-focused organizations are using influencer marketing to drive awareness and action. We’ve distilled key insights and learnings from several past campaigns that are applicable for any organization seeking to launch its first influencer campaign or improve current campaigns. 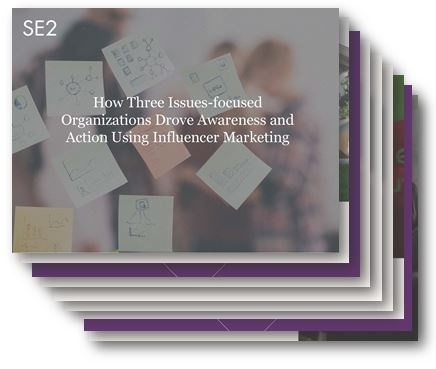 Our presentation How Three Issues-focused Organizations Used Influencers to Drive Awareness and Action profiles several organizations’ recent influencer campaigns and highlights best practices that you can apply directly to your work.